Tree Pole Pruner Supplier in Taiwan - Wise Center Precision Appliance Co., Ltd. Wise Center Precision Appliance Co., Ltd., is a leading provider of tree pole pruner, long reach pruner, long arm pruner and performance products and is recognized throughout the Tools industries for its complete selection, superior customer care, and fast delivery. 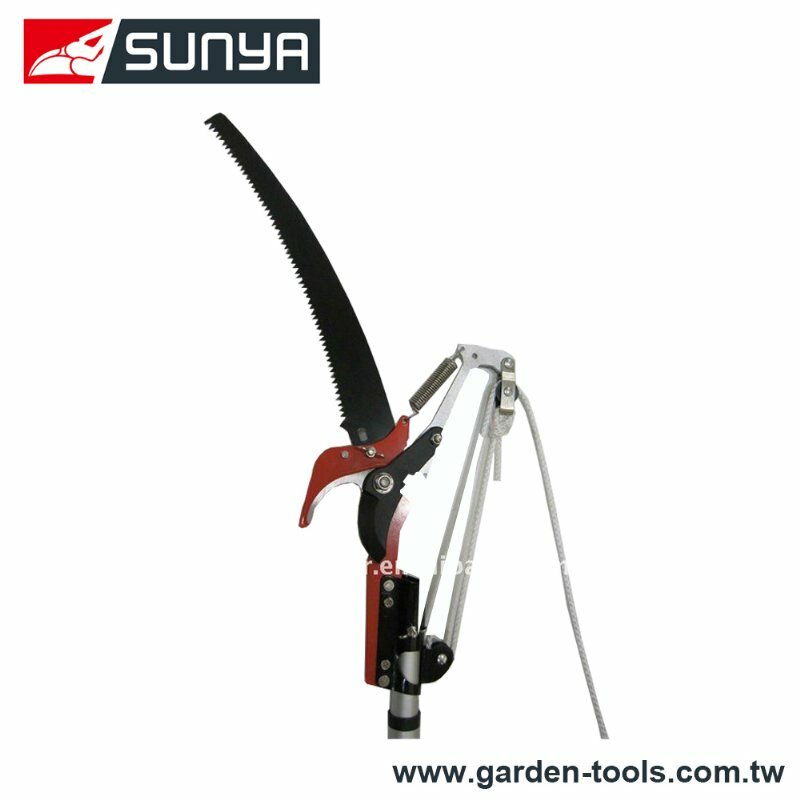 In addition to tree pole pruner, long reach pruner, we also specialize in providing long arm pruner. We offer various kinds of Bypass Tree Pole Pruner that are highly acknowledged in the market because of some major features like hygienic, pure, no side effect, environmentally safe and many more. Tree Pruner is use in cutting or trim high branch that we can’t cut with lopper. Tree pruner have two way to cut, one of them is use the pruner to trims branches, and another way is use saw to sawing the branch. Dear Sir/Madam, I’m interested in Bypass Tree Pole Pruner, 285 that your company provides. Would you kindly contact me with your detailed product information and FOB price? Thanks. Whether you are planning to change the tree pole pruner, long reach pruner, long arm pruner in your home, or just change some tree pole pruner, long reach pruner, long arm pruner, if you want the right products at economical prices, buy electrical fixtures online from Wise Center Precision Appliance Co., Ltd.. We promote environmental knowledge and awareness of our employees through continuous training and education and motivate them through our improvement suggestion program for active environmental protection. Thank you for taking the time to go through our business profile. If there is any question, inquiry or comment, please feel free to contact us.